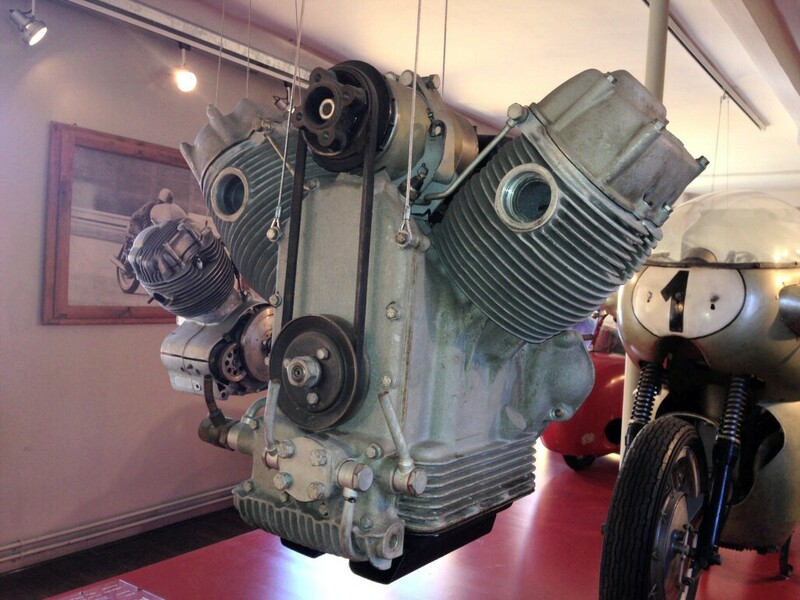 Gordon Kline of MG Cycle sent me these photos from the Moto Guzzi museum. Later, Marco Quartieri posted additional photos. 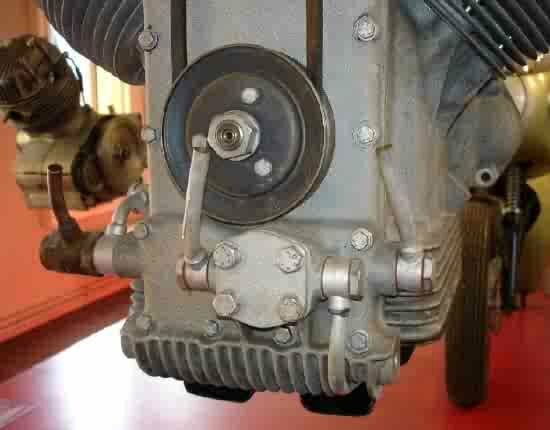 Charlie Mullendore of Antietam Classic Cycle mentioned that it appears as if Moto Guzzi might have been experimenting with a dry sump design. 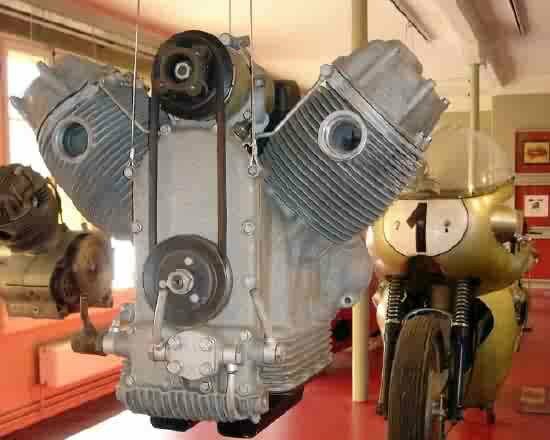 Very early Moto Guzzi big twin engine with an external oil filter. 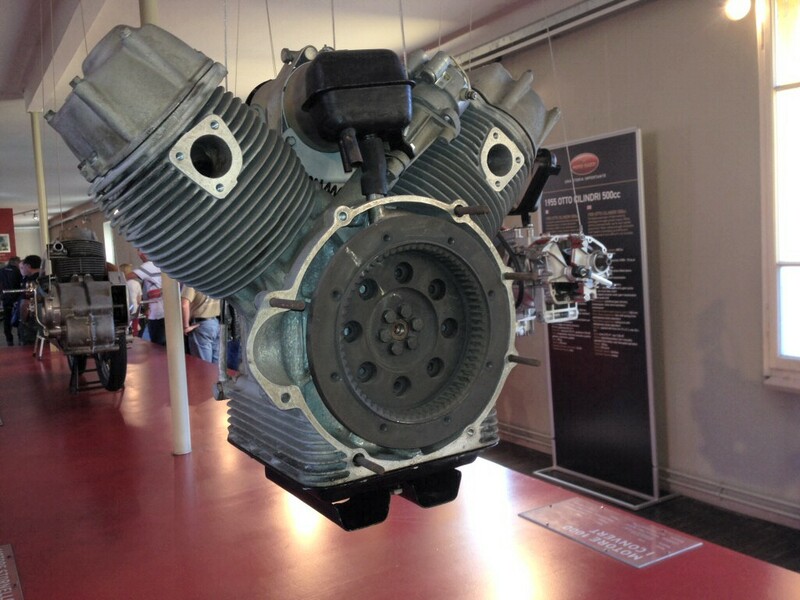 Engine displayed in the Moto Guzzi museum. Photo courtesy of Gordon Kline of MG Cycle. Photo courtesy of Marco Quartieri.